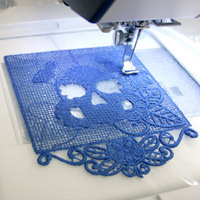 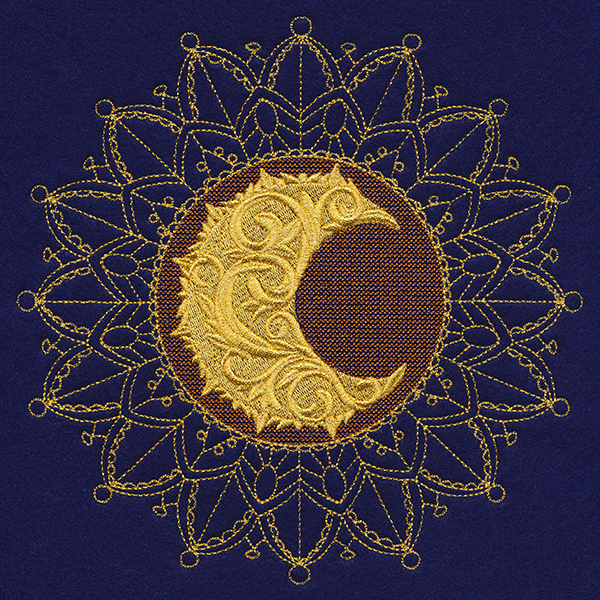 Metallic thread is the feature of this freestanding lace machine embroidery design. 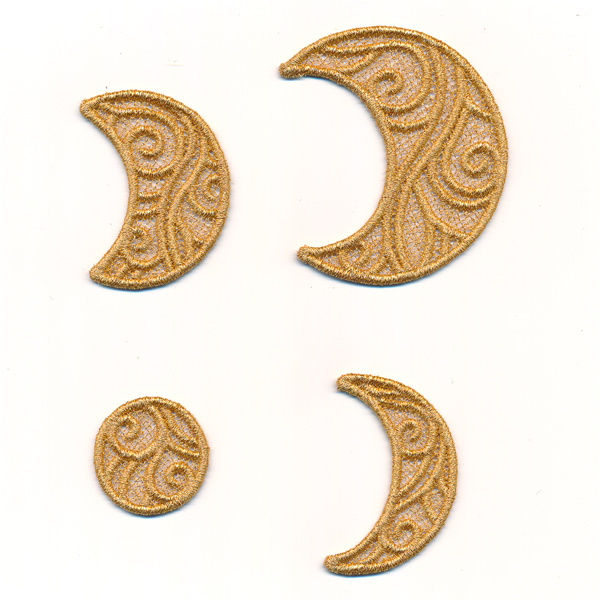 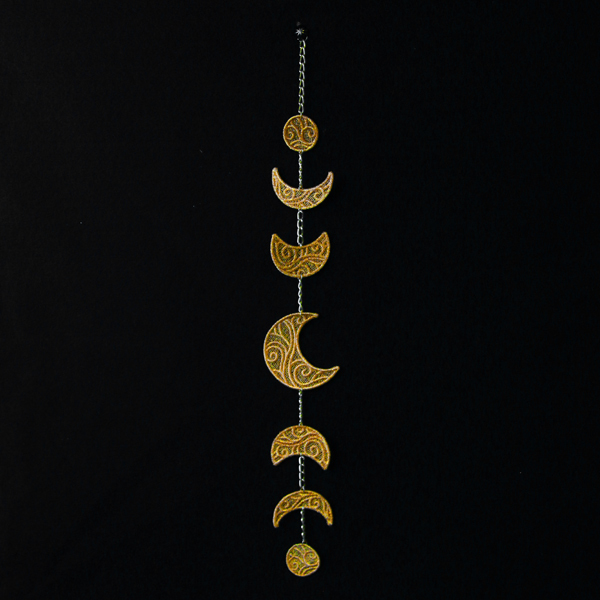 Let these stunning moon phases glisten on walls, or create a stunning windchime for your home. 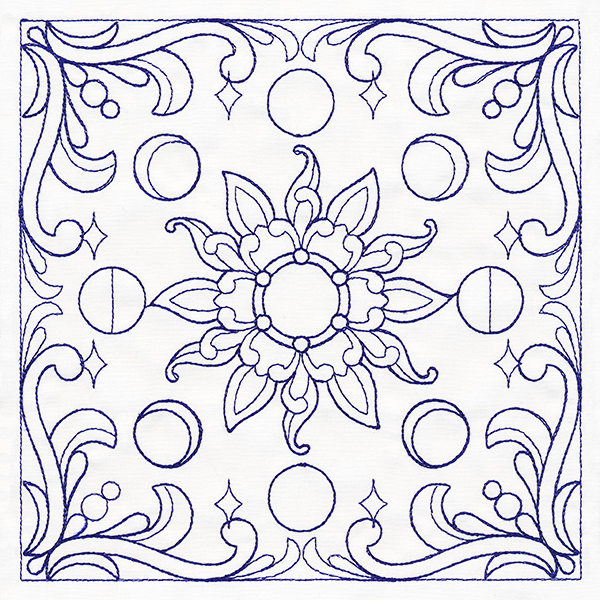 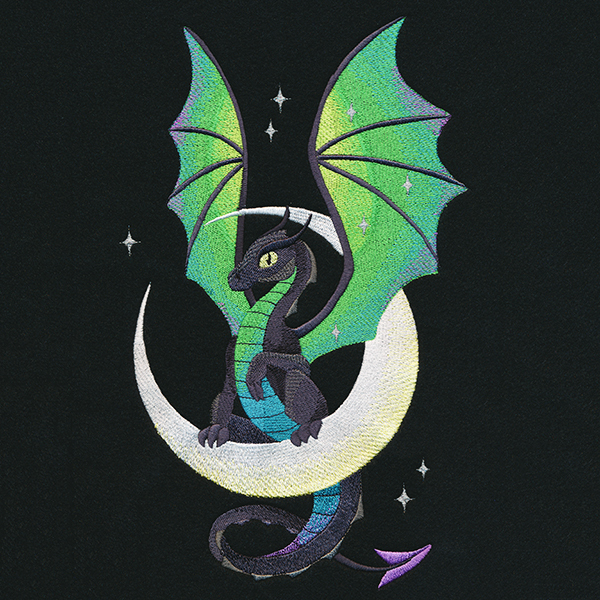 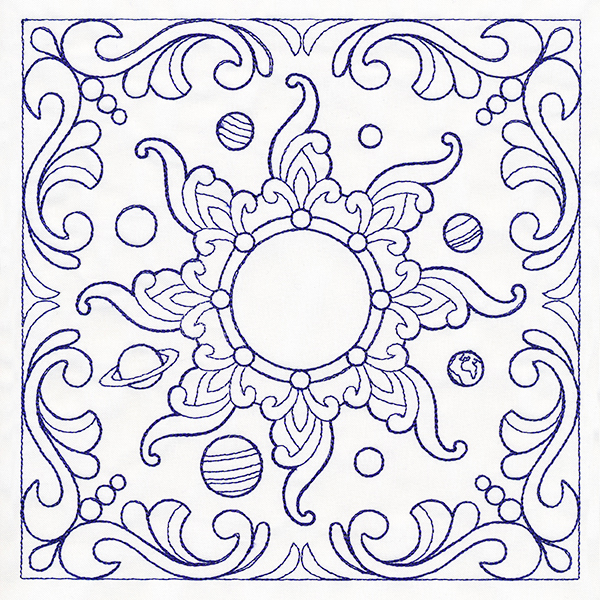 Project instructions will show you how to stitch and assemble this design.